"Governance of Emerging Technologies in Developing Countries"
Emerging technologies have become the greatest agent of change in the modern world and perhaps in shaping the future. Positive technological breakthroughs from emerging technologies promise innovative solutions to the most pressing global challenges of our time from resource scarcity to global environmental change. They are currently associated with high economic expectations and major opportunities for public welfare. However, in developing countries, due to a lack of appropriate investment, outdated regulatory frameworks and gaps in public awareness and legitimization process, many of these promising technologies are constrained from achieving their potential. Governments should deal with these technologies in an active way, intervene to develop them toward sustainability and to provide a competitive environment for their diffusion. For this intervention, governments should choose suitable frameworks to govern the technology development process compatible with societal circumstances. Iran's growth in the field of nanotechnology has been remarkable. In 2000 Iran was ranked as the world’s 59th country in terms of science generation for which an important index is the number of ISI papers published in various well known international peer reviewed journals. However, it only took a decade for Iran’s nanotechnology to achieve 8th rank in 2013. Since 2004 Iran has had the highest rate of growth among leading countries of the world in this field. Upon realizing the significant influence of nanotechnology on Iran’s future economy, extensive activities were initiated in 2000. This presentation will explain Iran`s policies and strategies in dealing with nanotechnology over the last 15 years in the context of Technological Innovation System approach. Mr. Hamid Reza Amirinia is the Head of the International Innovation and Technology Exhibition (INOTEX). He is also an invited member of the steering headquarter for the implementation of the national science master plan map. Up to Jan 2015 he was advisor to the Vice-President for Science and Technology, Iran, before that he was advisor to the Presidency and Head of the Presidential Center for Innovation & Technology Cooperation 2008-2014. 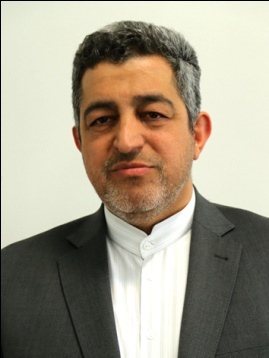 He was the Iran Embassy’s Science – Industrial Attaché in Moscow from 2005 to 2008, and Head of the Engineering Department Technology Cooperation office, Presidency 2003-2005. 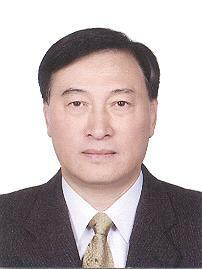 From 1998 to 2001 he was Vice-Chairman of the Technology Cooperation office, Presidency. Mr. Amirinia was head of the Engineering Department, Technology Cooperation Office, Presidency, 1998-2004, and head of the Engineering Department of the Office of Science and Industrial Studies of the Prime Minister’s Office 1989-1997. He was a member of Iranian National Science and Technology policy Committees for Nanotechnology, Biotechnology, Renewable energy, Herbal Drug, etc., between 2008- 2015. Mr. Amirinia received a BA in Electronics Engineering from Amir Kabir University in 1988, and an MA in Industrial Management (Science and Research Policy) with distinction degree from Strathclyde University in Scotland in 2003. He is a PhD researcher in The Iranian National Research Institute for Science Policy affiliated to the Ministry of Science, Research and Technology. "Straying Slowly: STI in Developing Economies"
Over the last fifty years, numerous research projects and policy recommendations have been made for Science, Technology, and Innovation (STI) in developing economies. However, only a few countries have emerged as achieving sufficiently capable status until now. Why do such gaps happen between discourse and reality? This presentation aims to examine this question with a brief review of predominant perspectives on STI such as Big Push, Import Substitution Industrialization, Appropriate Technology, Manufacturing Capabilities, Post East Asian Model, and Resource-led Development. Then, major features of STI in developing economies will be discussed: largely untapped latent potential; lagged behind and stagnant; no benefit and useful solution for society; neglected and isolated island from the world community. These may be caused by neglecting concerns to the gaps and also looking in wrong places in their quest of scholars across the globe. After that, constraints and bottlenecks hindering STI progress are examined to suggest a new framework; low equilibrium trap, no strong enterprise and no supportive university, limited investment capital, difficulty in priority setting and resource concentration, poor policy execution capability, risk-aversion attitude, inability to adapt technologies to raise productivity, and so on. Finally, some mandatory policy recommendations for global joint-initiatives are addressed. Undoubtedly, STI can play an essential role as a critical growth engine of wealth creation, for improvements of welfare, and for progression of social systems in these economies. Dr. Youngrak Choi is currently serving as the advisor for the Ministry of Science and Technology in Ethiopia (since 2013) and a PICMET Fellow (since 2011). 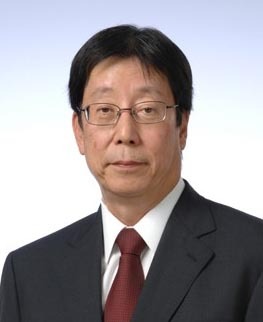 He has extensive work experience in the field of Science and Technology (S&T) Policy, including serving as the Chairman of Korea Research Council of Public Science and Technology, a member of the Presidential Advisory Council for Science and Technology, a member of the Presidential Commission on Policy Planning, the President of Science & Technology Policy Institute, the President of the Korean Society for Technology Management & Economics, and a full member of the National Academy of Engineering of Korea. 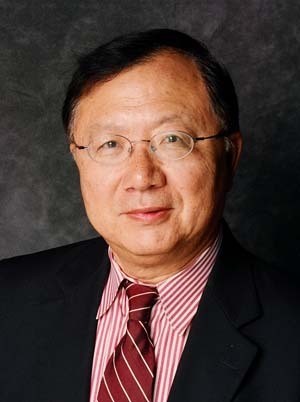 Also, Dr. Choi served as a professor of the Graduate School of Management of Technology, Korea University from 2009 to 2012. He holds a Ph.D. in Technological Innovation from Roskilde University in Denmark. Dr. Choi’s research mainly focuses on the Korean innovation model, science and technology policy, and technology and development. Through his extensive research in the Long-term National S&T Development Plan, he has been instrumental in enhancing the effectiveness of Korean S&T policy over the past thirty years. Based on his outstanding contribution to the field of S&T policy, he received a LTM Award in Government from PICMET in 2006 and also an Iljin Award from NAEK in 2010. Our work with the design structure matrix (DSM) started by using the method as a research tool to model the performance of engineering projects. However we immediately recognized DSM to be a powerful method to explore and explain the deep structure of complex technical projects across a range of industries. Today, we can use DSM to represent the architecture of complex engineering systems, the architecture of large engineering processes, and the architecture of networked engineering organizations. In this keynote presentation, I will review some of the key DSM research results and the ways in which the method is used today to manage complex technical projects. I will also offer thoughts on the frontiers in engineering management that may be addressed using DSM modeling and some reflections on why it takes more than 20 years to bring a practical new method into common practice. Dr. Steven Eppinger is Professor of Management Science and Innovation at the Massachusetts Institute of Technology Sloan School of Management. He holds the General Motors Leaders for Global Operations Chair and a joint appointment in MIT's Engineering Systems Division. Prof Eppinger teaches interdisciplinary courses at both the masters and executive levels in product design and innovation, engineering project management, and digital product management. He has co-authored a leading textbook entitled Product Design and Development (McGraw-Hill). Currently in its sixth edition, the text has been translated into several languages and used by hundreds of universities and more than a quarter million students. Dr. Eppinger's research is applied to improving complex technical projects in a wide range of industries and is the basis of the book titled Design Structure Matrix Methods and Applications (MIT Press). Prof. Eppinger is the Co-Director of MIT’s System Design and Management Program. He served as Deputy Dean of the MIT Sloan School of Management from for five years. He received S.B., S.M., and Sc.D. degrees from MIT's Department of Mechanical Engineering. "Social Innovation for the Future: New Collaborative Creation for Growth"
Even in the face of a number of social issues, the global economy’s borders are vanishing and continue to grow. The Hitachi Group is committed to the social innovation business and believes that innovation holds the key to solving the issues that face society and to further growth. The Hitachi Group will work to solve the social and administrative issues for our customers. To do this, we will establish a broad partnership that is beyond industry and more into society which will promote a long-term collaborative creation of value. These efforts will help create a better society on a global scale by revolutionizing the services and social infrastructure that support our lives and businesses. Historically, research and the arts were often viewed from a similar perspective – as “things advanced economies did” and there was minimal accountability from investments in research. Following massive global investments in research, expectations for impacts are rising around the world and people are beginning to question the appropriate shape of public investment across the entire ST&I horizon. Canada too has made major investments in knowledge generation and, as a result, punches above its weight in publications and citations. However raw knowledge is a tradable good, and like any other resource, in the absence of value added through innovation, is a relatively low value commodity and thus, is not sufficient to create a competitive economy. Monetizing knowledge through innovation underpins globally competitive economies – by contributing to productivity through development and commercial application of technologies, products and services. Canadian business expenditures in research and development (R&D) lag behind many countries. Furthermore, Canada faces chronic challenges in effectively moving knowledge developed in higher education institutions to companies that have the ability to absorb it and translate it into commercially viable products. This presentation will outline the actions being taken to improve Canada’s innovation performance. Mr. John McDougall, Born and raised in Edmonton, John McDougall was appointed as NRC's President in April 2010 following 12 years as President and CEO of the Alberta Research Council when he also founded and chaired Innoventures Canada, bringing together Canada’s leading research and technology organizations. His career began as a petroleum engineer, and then quickly evolved into the ownership and management of an international engineering consulting firm and subsequently a private merchant bank. 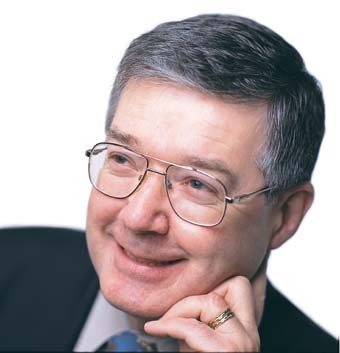 From 1991 to 1997, he was the first Poole Chair in Management for Engineers, a leadership position within the University of Alberta. He has held leadership positions with some of Canada's most innovative research and manufacturing businesses, research consortia and not-for-profit organizations and with numerous professional and business organizations. He has served on advisory boards and committees at provincial, federal and international levels. Mr. McDougall has been recognized by organizations including the Canadian Academy of Engineers, Engineers Canada, Mexican College of Civil Engineers and PICMET. He has a BSc in Civil Engineering from the University of Alberta, and completed several postgraduate courses in Environmental Engineering. Dr. James M. Utterback is David J. McGrath jr (1959) Professor of Management and Innovation at the MIT Sloan School of Management and Professor of Engineering Systems in the School of Engineering at the Massachusetts Institute of Technology. 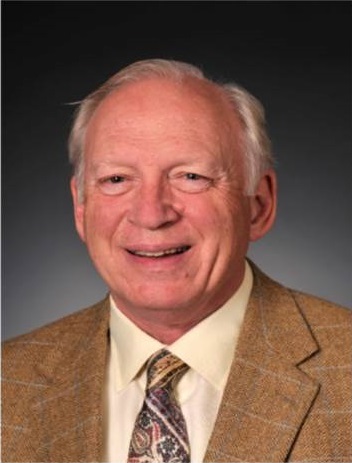 Since receiving the Ph.D. in 1968 from the MIT Sloan School of Management, Dr. Utterback has held faculty positions at Indiana University, the Harvard Business School, and Chalmers Technical University as well as MIT. From 1983 through 1989, he served as Director of Industrial Liaison at MIT. He is author of Mastering the Dynamics of Innovation, published by Harvard Business School Press in 1994, and of Design-Inspired Innovation, published by World Scientific Press in 2006. His current research examines the sustained growth of newly formed technology-based firms worldwide at the confluence of bio and nanotechnology. Dr. Utterback received the D.Sc. (Hon) from Chalmers University in Gothenburg, Sweden, in 1997, and was elected a foreign member of the Royal Swedish Academy of Engineering Sciences in 1999. He was elected a Life Fellow of Clare Hall at the University of Cambridge in 2006. Last year he received an honorary doctorate from Katholieke Universiteit Leuven in Belgium. "Addressing Technology Transfers in the Climate and Energy Global Agendas"
In their paths and transitions towards a bio-based economy, the Global Agendas on Climate and Energy will rely on large scale technology transfers to meeting their sustainable development goals. This presentation will focus on technology transfers in their “Impact Investments” dimension, i.e. investments intended to create positive impact beyond financial return. The discussion could inspire and infuse novel solutions in time for the 2015 ongoing international negotiations at the UN level. 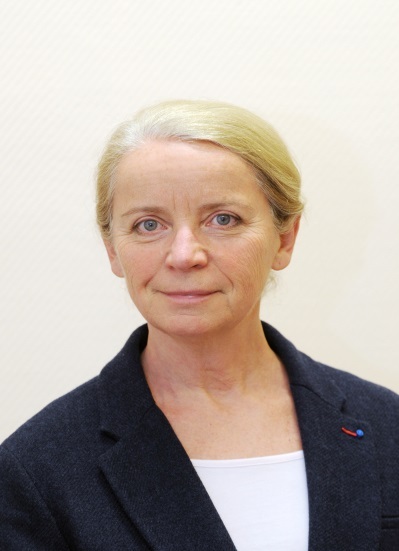 Dr. Françoise Roure chairs the “Security, Safety and Risk” Committee in the French National Advisory Board for Economy, Industry, Energy and Technologies”. She has two PhD degrees in Economics (Industrial and international) from the University Paris 1 Pantheon-Sorbonne. She is a member of the World Economic Forum Meta-Council on Emerging Technologies, and of the OECD’s newly created Working Party on Biotechnology, Nanotechnology and Converging Technologies. She has been an advisor to the European Commission for more than ten years on Foresight and Strategy issues in the fields of Advanced Technologies as well as Ethical Frameworks for Responsible Research, Innovation and Industry. "Technology Portfolio Planning: A Systems Approach with Case Applications"
There have been rapid advances and expanding proliferation of technologies with vast and far-reaching impacts on economic production, social interactions, environmental changes, and political movements. As a result, effective investment in new technology development and acquisition is critically important not only to business enterprises and government agencies, but also to educational establishments, research institutions, non-government organizations, and even individuals. This presentation discusses the use of a systems approach that combines the principles of decision analysis, scenario forecasting, and modern portfolio theory to develop a systematic methodology for analyzing and optimizing the technology investment decision process. The methodology is further demonstrated through successful case applications to the technology investment decisions of a large U.S. public power administration and an Asian government agency.